Son Amer is located in Es Llombards on the Spanish island of Mallorca. This detached vacation rental property is air-conditioned and sleeps up to 2 people with 1 bedroom, 1 bathroom along with private swimming pool. The villa is walking distance to restaurants. Ca La Tieta is located in Buger on the Spanish island of Mallorca. This vacation rental property is air-conditioned and sleeps up to 11 people (10 adults and 1 child) with 5 bedrooms, 3 bathrooms along with private swimming pool. The property is walking distance to restaurants. Ca Na Canta is located in Pollensa on the Spanish island of Mallorca. This vacation rental property is air-conditioned and sleeps up to 8 people with 4 bedrooms, 2 bathrooms along with private swimming pool. The property is walking distance to restaurants. Ca Na Carmen is located in Pollensa on the Spanish island of Mallorca. 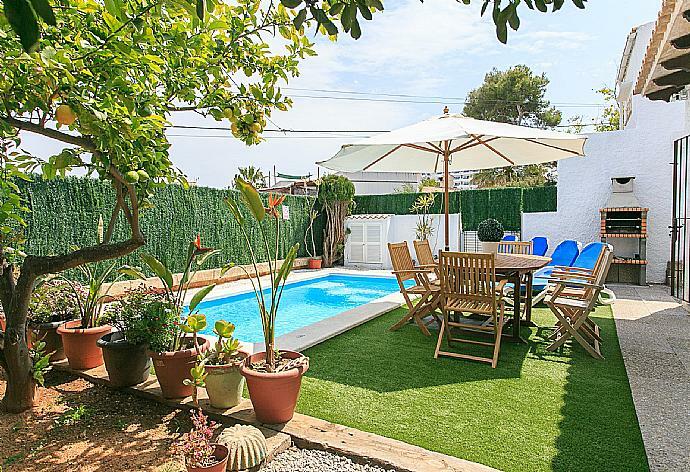 This detached vacation rental property is air-conditioned and sleeps up to 8 people (6 adults and 2 children) with 3 bedrooms, 3 bathrooms along with private swimming pool. Ca Na Mariona is located in Pollensa on the Spanish island of Mallorca. This vacation rental property is air-conditioned and sleeps up to 5 people with 3 bedrooms, 2 bathrooms . 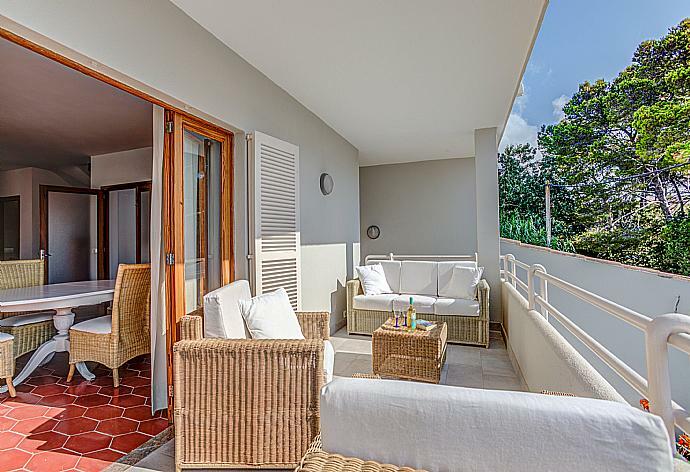 The apartment is walking distance to the beach and restaurants. Can Bleo is located in Pollensa on the Spanish island of Mallorca. This detached vacation rental property is air-conditioned and sleeps up to 7 people with 4 bedrooms, 3 bathrooms along with private swimming pool. 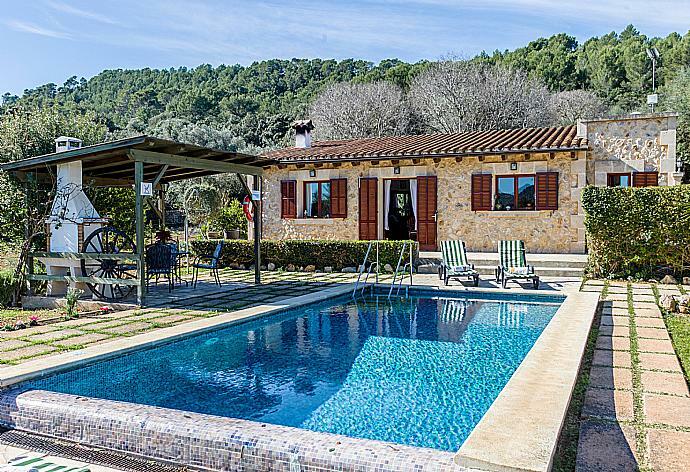 Can Botana 6 is located in Cala San Vicente on the Spanish island of Mallorca. This detached vacation rental property is air-conditioned and sleeps up to 7 people with 4 bedrooms, 3 bathrooms . The villa is walking distance to the beach and restaurants. Can Fanals is located in Pollensa on the Spanish island of Mallorca. This detached vacation rental property is air-conditioned and sleeps up to 7 people (6 adults and 1 child) with 3 bedrooms, 2 bathrooms along with private swimming pool. Can Guixa is located in Alcudia on the Spanish island of Mallorca. This detached vacation rental property is air-conditioned and sleeps up to 8 people with 4 bedrooms, 3 bathrooms along with private swimming pool. The villa is walking distance to restaurants. Can Llompart is located in Pollensa on the Spanish island of Mallorca. This detached vacation rental property is air-conditioned and sleeps up to 6 people with 3 bedrooms, 2 bathrooms along with private swimming pool. Can Mestransa is located in Pollensa on the Spanish island of Mallorca. This detached vacation rental property sleeps up to 8 people with 4 bedrooms, 3 bathrooms along with private swimming pool. Can Plomer is located in Pollensa on the Spanish island of Mallorca. This detached vacation rental property is air-conditioned and sleeps up to 6 people with 3 bedrooms, 2 bathrooms along with private swimming pool. The villa is walking distance to restaurants. 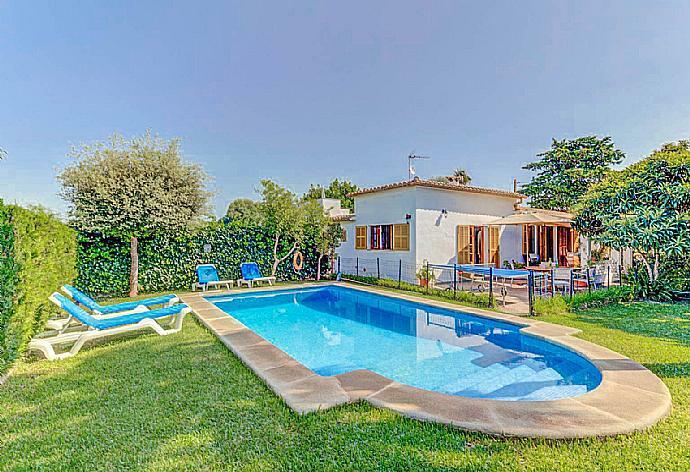 Can Segue Nou is located in Alcudia on the Spanish island of Mallorca. This detached vacation rental property is air-conditioned and sleeps up to 7 people (6 adults and 1 child) with 3 bedrooms, 2 bathrooms along with private swimming pool. The villa is walking distance to restaurants. 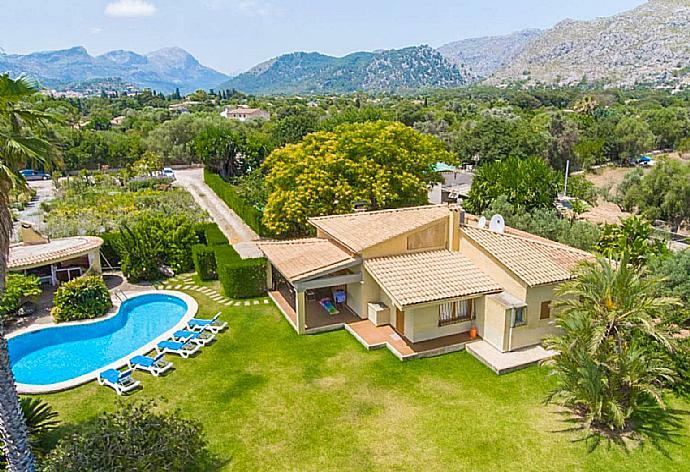 Can Teulada is located in Pollensa on the Spanish island of Mallorca. 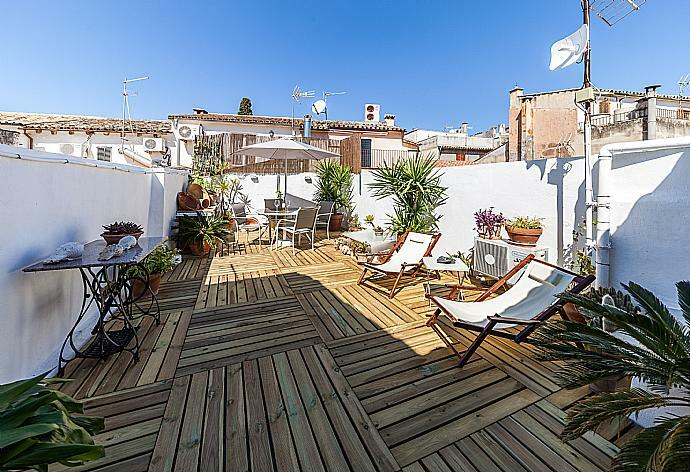 This detached vacation rental property is air-conditioned and sleeps up to 5 people (4 adults and 1 child) with 2 bedrooms, 1 bathroom along with private swimming pool. 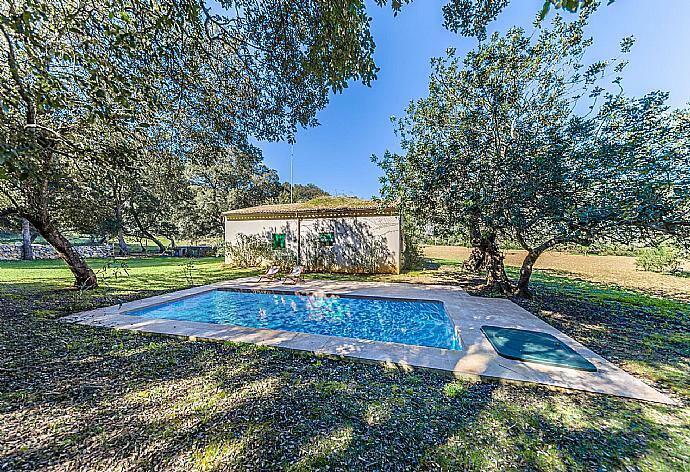 Casita Cecilia is located in Pollensa on the Spanish island of Mallorca. This detached vacation rental property sleeps up to 4 people with 2 bedrooms, 2 bathrooms along with private swimming pool. Eu Clos is located in Alcudia on the Spanish island of Mallorca. This detached vacation rental property is air-conditioned and sleeps up to 4 people with 2 bedrooms, 1 bathroom along with private swimming pool. Eu Madravet is located in Pollensa on the Spanish island of Mallorca. This detached vacation rental property is air-conditioned and sleeps up to 7 people (6 adults and 1 child) with 3 bedrooms, 2 bathrooms along with private swimming pool. Font Xica is located in Pollensa on the Spanish island of Mallorca. This detached vacation rental property is air-conditioned and sleeps up to 7 people (6 adults and 1 child) with 3 bedrooms, 2 bathrooms along with private swimming pool. Llac de Son Morro is located in Can Picafort on the Spanish island of Mallorca. 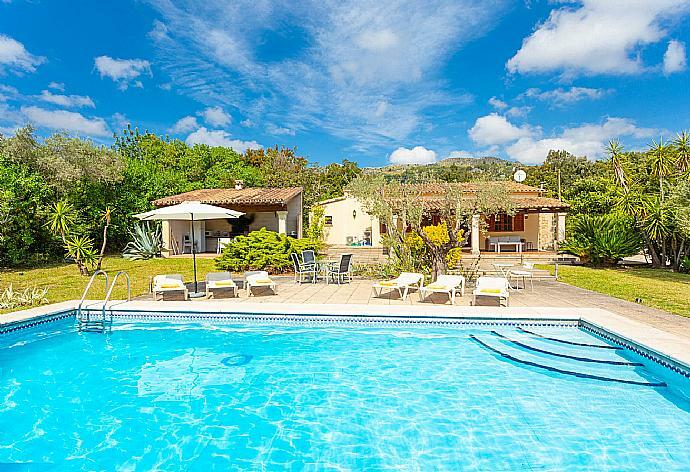 This detached vacation rental property is air-conditioned and sleeps up to 7 people (6 adults and 1 child) with 3 bedrooms, 4 bathrooms along with private swimming pool. Suau Petit is located in Pollensa on the Spanish island of Mallorca. 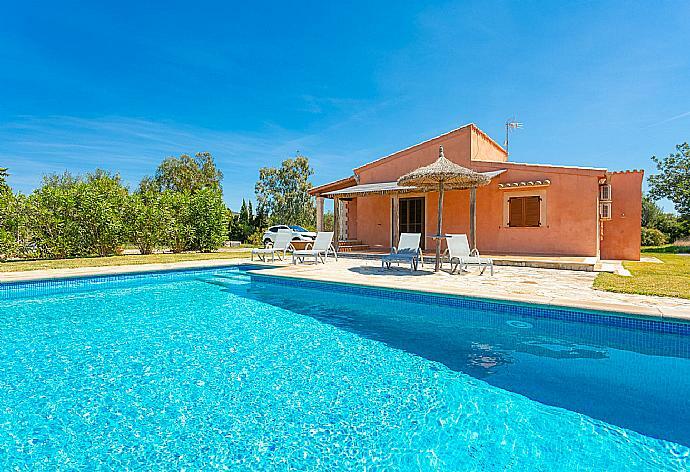 This detached vacation rental property is air-conditioned and sleeps up to 5 people (4 adults and 1 child) with 2 bedrooms, 2 bathrooms along with private swimming pool. 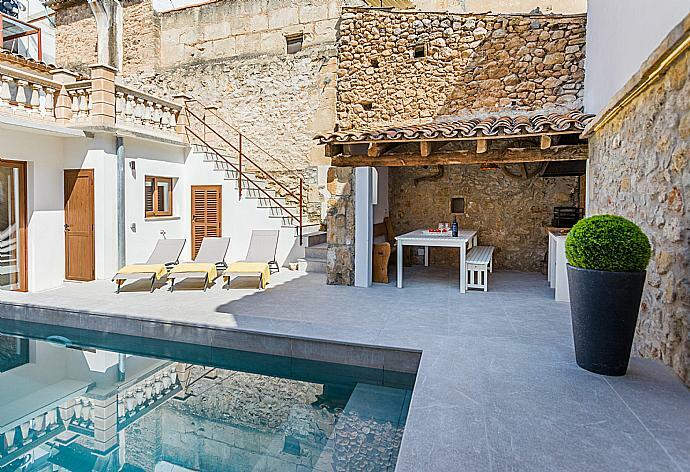 Villa Abril is located in S Amarador on the Spanish island of Mallorca. This detached vacation rental property sleeps up to 6 people with 3 bedrooms, 2 bathrooms along with private swimming pool. The villa is walking distance to the beach. 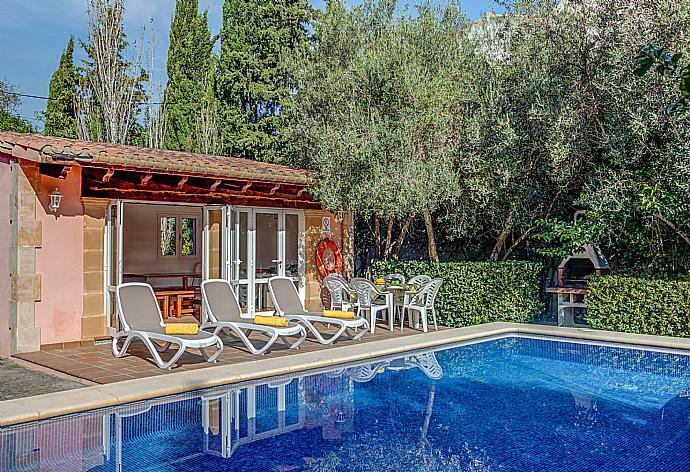 Villa Aguamarina is located in Cala D Or on the Spanish island of Mallorca. This detached vacation rental property is air-conditioned and sleeps up to 6 people with 3 bedrooms, 2 bathrooms along with private swimming pool. The villa is walking distance to the beach and restaurants. 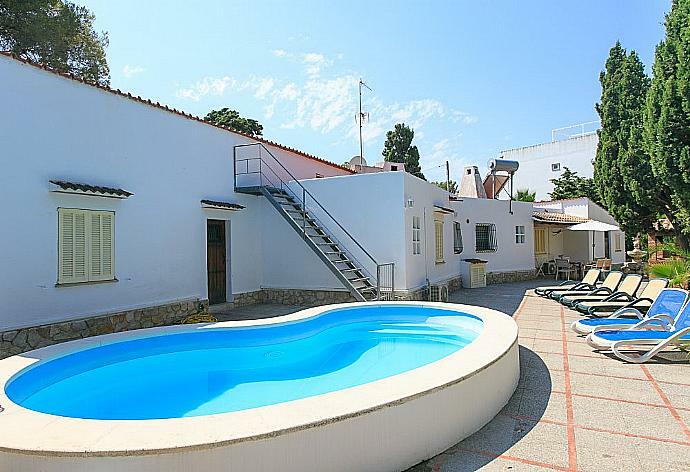 Villa Aguilas is located in S Horta on the Spanish island of Mallorca. This detached vacation rental property is air-conditioned and sleeps up to 10 people with 5 bedrooms, 4 bathrooms along with private swimming pool. Villa Alcux is located in Pollensa on the Spanish island of Mallorca. This vacation rental property is air-conditioned and sleeps up to 4 people with 2 bedrooms, 1 bathroom along with private swimming pool. The property is walking distance to restaurants. 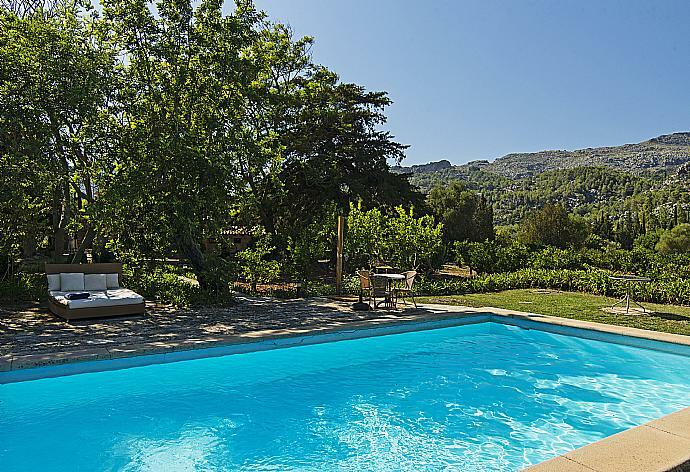 Villa Alexandra is located in Pollensa on the Spanish island of Mallorca. This detached vacation rental property is air-conditioned and sleeps up to 6 people with 3 bedrooms, 2 bathrooms along with private swimming pool. 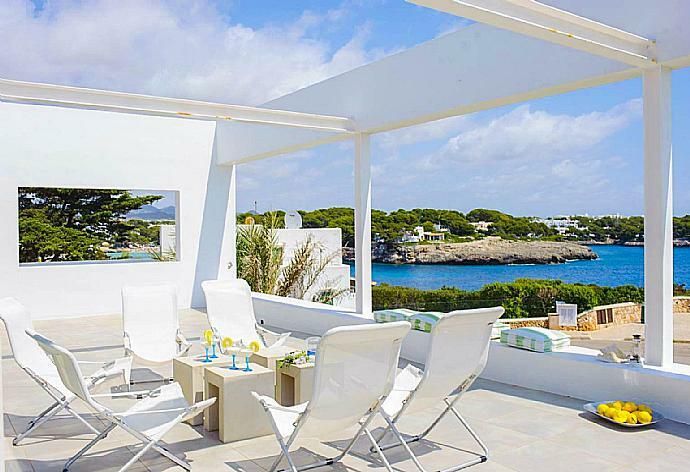 Villa Alicia is located in Porto Colom on the Spanish island of Mallorca. This vacation rental property sleeps up to 8 people with 4 bedrooms, 3 bathrooms along with private swimming pool. 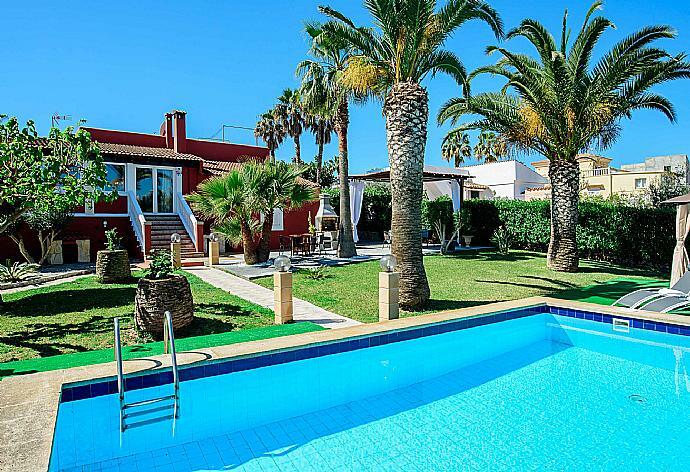 Villa Ancora is located in Puerto Pollensa on the Spanish island of Mallorca. This vacation rental property is air-conditioned and sleeps up to 7 people (6 adults and 1 child) with 3 bedrooms, 2 bathrooms . The property is walking distance to the beach and restaurants. 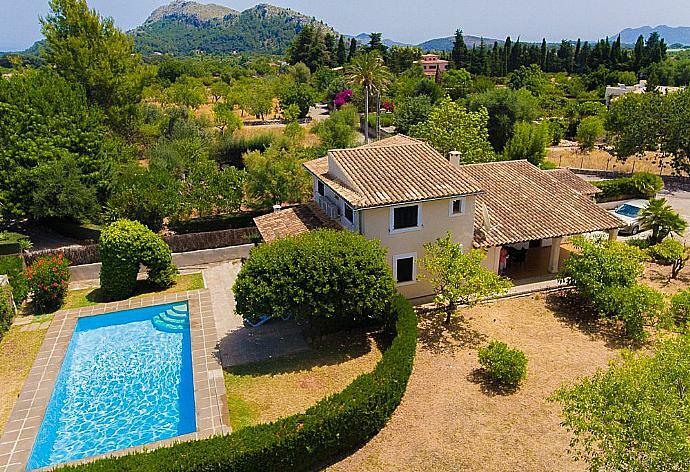 Villa Angeles is located in Pollensa on the Spanish island of Mallorca. 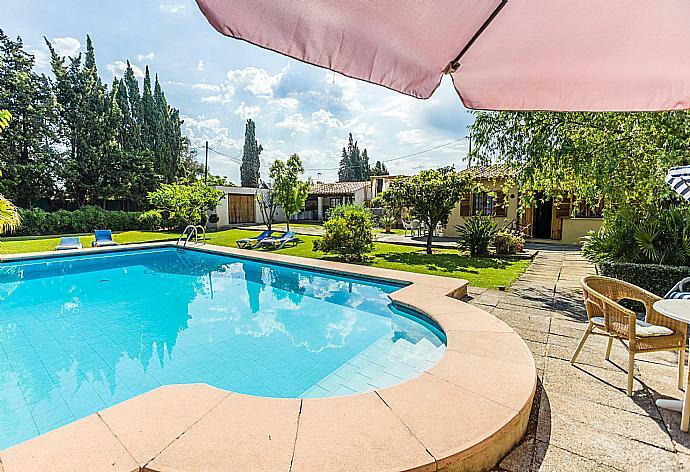 This detached vacation rental property is air-conditioned and sleeps up to 7 people (6 adults and 1 child) with 3 bedrooms, 1 bathroom along with private swimming pool. 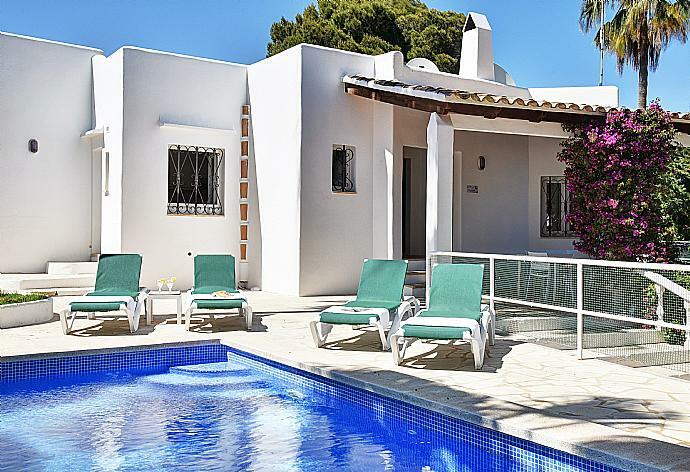 Villa Capricorn is located in Cala D Or on the Spanish island of Mallorca. This detached vacation rental property is air-conditioned and sleeps up to 8 people with 4 bedrooms, 4 bathrooms along with private swimming pool. The villa is walking distance to the beach and restaurants. 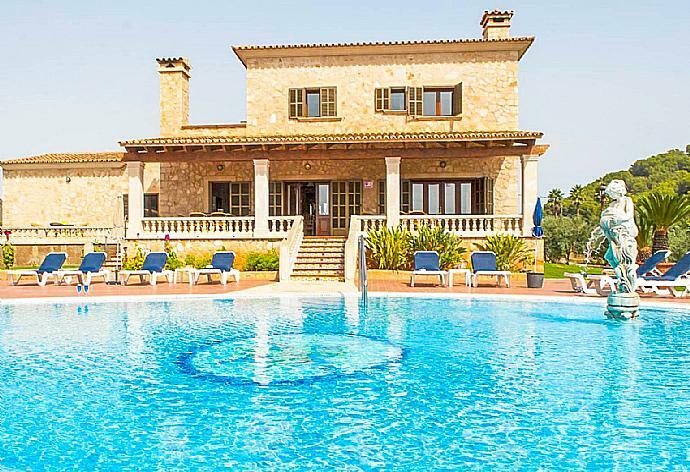 Villa Cielo de Bonaire is located in Alcudia on the Spanish island of Mallorca. This detached vacation rental property is air-conditioned and sleeps up to 7 people with 4 bedrooms, 2 bathrooms along with private swimming pool. The villa is walking distance to restaurants. 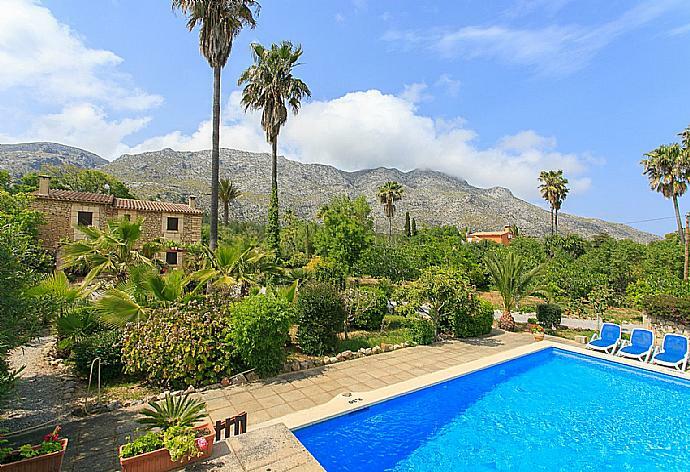 Villa Colonya is located in Pollensa on the Spanish island of Mallorca. This vacation rental property is air-conditioned and sleeps up to 6 people with 3 bedrooms, 2 bathrooms along with private swimming pool. The property is walking distance to restaurants. Villa Colonya Gran is located in Pollensa on the Spanish island of Mallorca. This vacation rental property is air-conditioned and sleeps up to 9 people (8 adults and 1 child) with 4 bedrooms, 2 bathrooms along with private swimming pool. 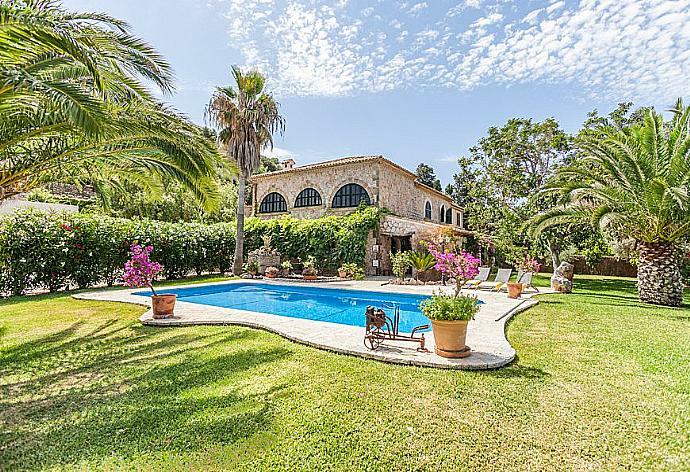 Villa Constans is located in Cala D Or on the Spanish island of Mallorca. This detached vacation rental property sleeps up to 10 people with 5 bedrooms, 4 bathrooms along with private swimming pool. The villa is walking distance to the beach and restaurants. 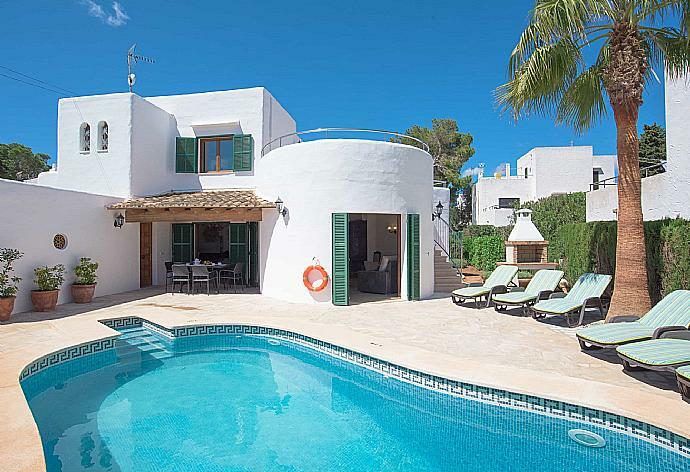 Villa Corb Mari is located in Cala D Or on the Spanish island of Mallorca. This detached vacation rental property sleeps up to 6 people with 3 bedrooms, 2 bathrooms along with private swimming pool. The villa is walking distance to the beach and restaurants. Villa Crestaix is located in Crestatx on the Spanish island of Mallorca. This detached vacation rental property is air-conditioned and sleeps up to 2 people with 1 bedroom, 1 bathroom along with private swimming pool. 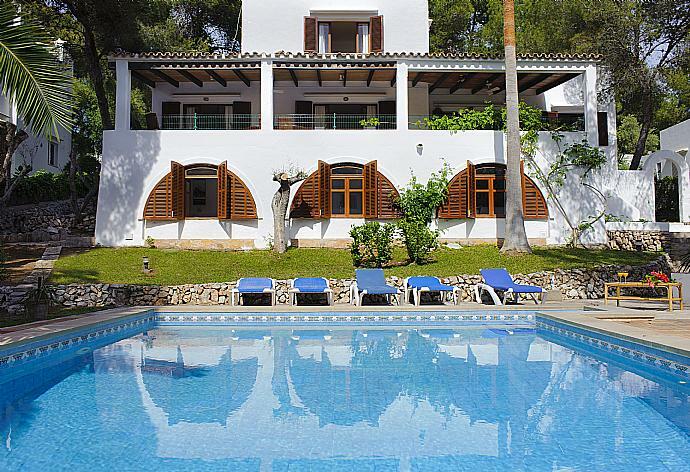 Villa Cubells is located in Cala D Or on the Spanish island of Mallorca. This vacation rental property is air-conditioned and sleeps up to 6 people with 3 bedrooms, 2 bathrooms along with private swimming pool. The property is walking distance to the beach and restaurants. 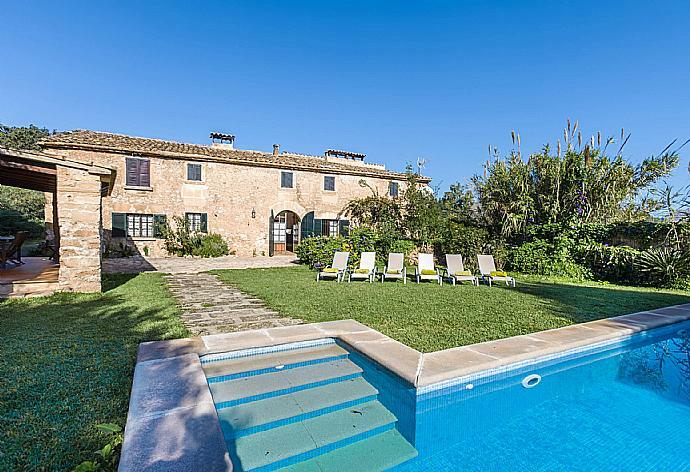 Villa Daniel is located in Calonge on the Spanish island of Mallorca. This detached vacation rental property is air-conditioned and sleeps up to 4 people with 2 bedrooms, 1 bathroom along with private swimming pool. 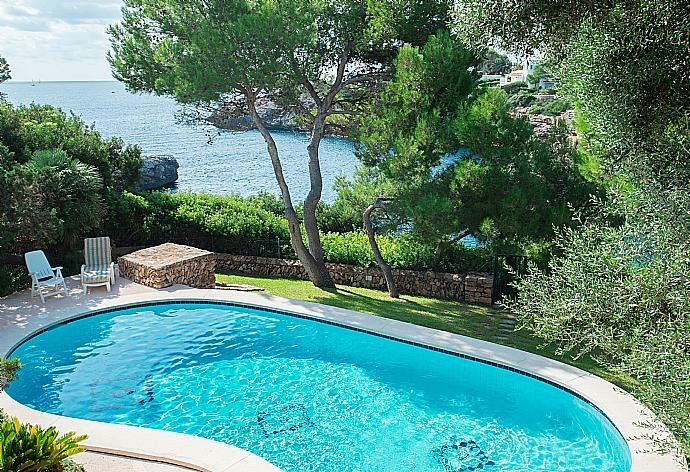 Villa Dorailla is located in Porto Colom on the Spanish island of Mallorca. This detached vacation rental property is air-conditioned and sleeps up to 8 people with 4 bedrooms, 2 bathrooms along with private swimming pool. 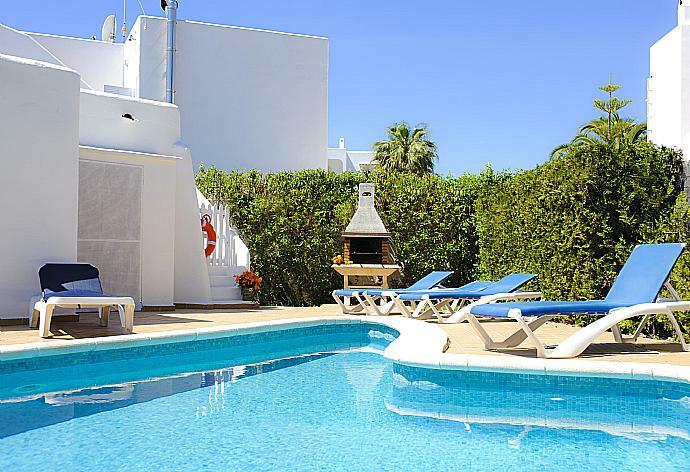 Villa Egos 89 is located in Cala D Or on the Spanish island of Mallorca. 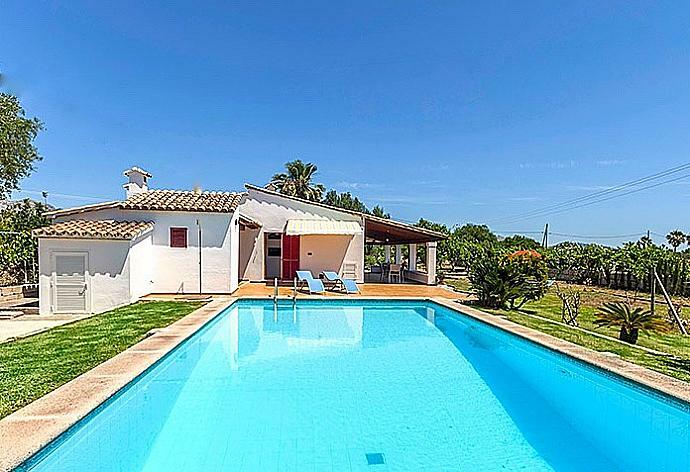 This detached vacation rental property is air-conditioned and sleeps up to 10 people with 5 bedrooms, 3 bathrooms along with private swimming pool and sea views. The villa is walking distance to the beach and restaurants. 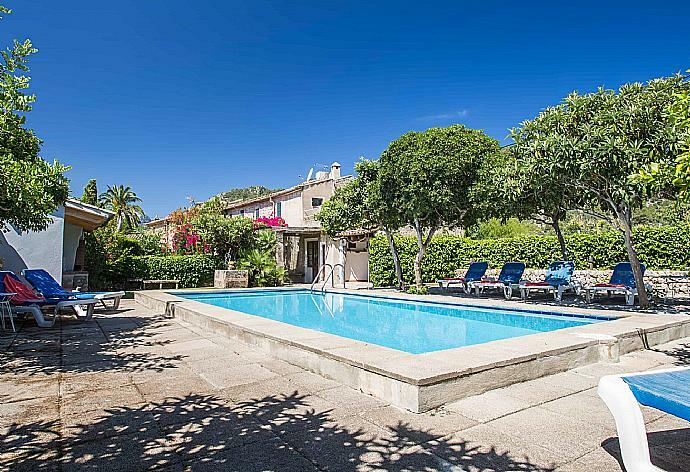 Villa El Pont is located in Pollensa on the Spanish island of Mallorca. This detached vacation rental property is air-conditioned and sleeps up to 4 people with 2 bedrooms, 2 bathrooms along with private swimming pool. The villa is walking distance to restaurants. 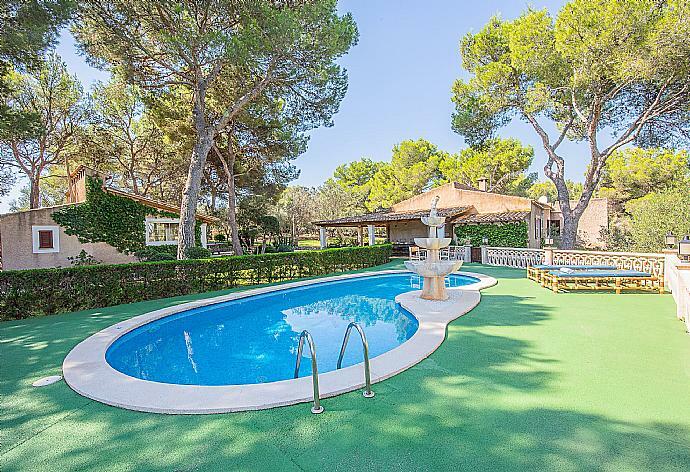 Villa Forti is located in Cala D Or on the Spanish island of Mallorca. This detached vacation rental property sleeps up to 8 people with 4 bedrooms, 3 bathrooms along with private swimming pool and sea views. The villa is walking distance to the beach and restaurants. 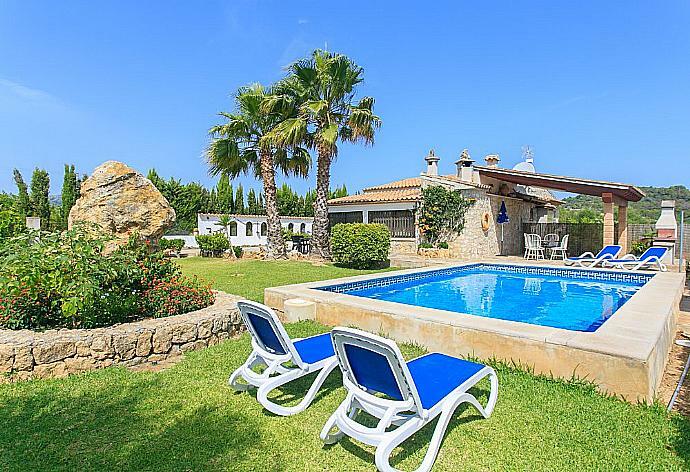 Villa Julia is located in Alcudia on the Spanish island of Mallorca. This vacation rental property is air-conditioned and sleeps up to 6 people with 3 bedrooms, 1 bathroom along with private swimming pool. The property is walking distance to the beach and restaurants. 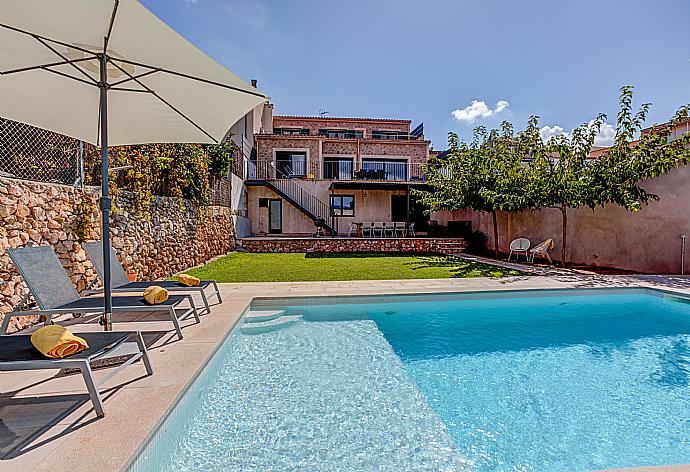 Villa La Coma is located in Pollensa on the Spanish island of Mallorca. This detached vacation rental property is air-conditioned and sleeps up to 8 people with 4 bedrooms, 4 bathrooms along with private swimming pool. 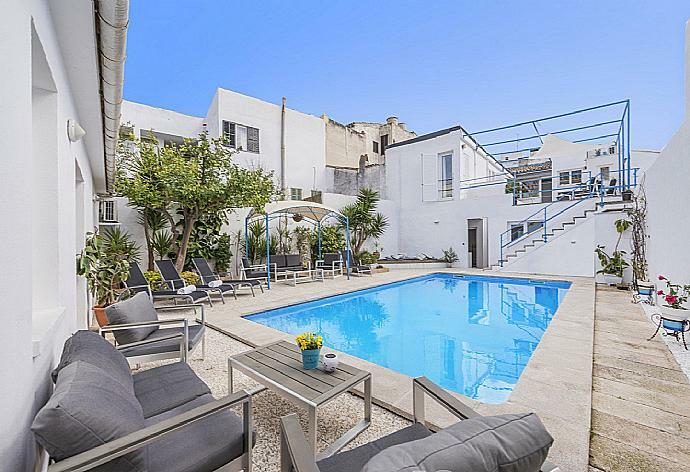 Villa Llamp is located in Cala D Or on the Spanish island of Mallorca. This detached vacation rental property is air-conditioned and sleeps up to 8 people with 4 bedrooms, 3 bathrooms along with private swimming pool. The villa is walking distance to the beach and restaurants. 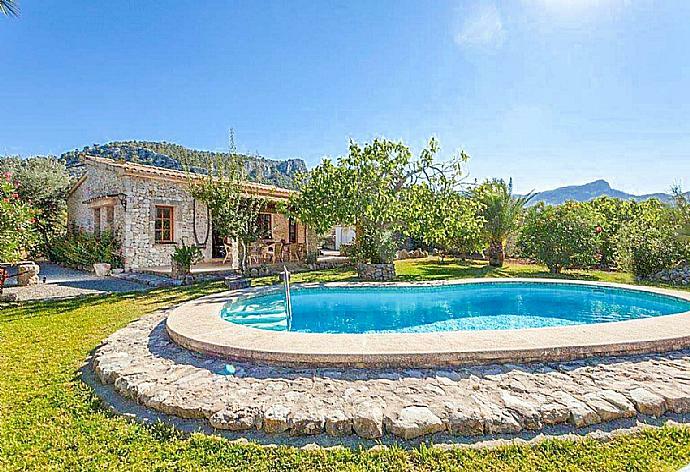 Villa Lloberina is located in Pollensa on the Spanish island of Mallorca. This vacation rental property is air-conditioned and sleeps up to 8 people with 4 bedrooms, 5 bathrooms along with private swimming pool. 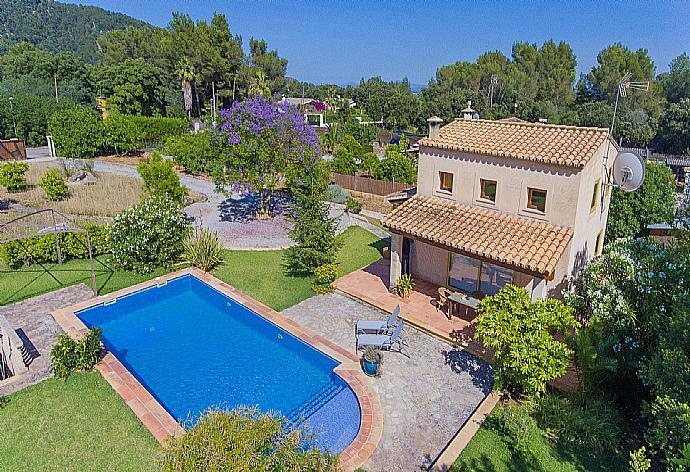 Villa Llorer is located in Cala D Or on the Spanish island of Mallorca. This detached vacation rental property is air-conditioned and sleeps up to 7 people with 3 bedrooms, 2 bathrooms along with private swimming pool. The villa is walking distance to the beach and restaurants. 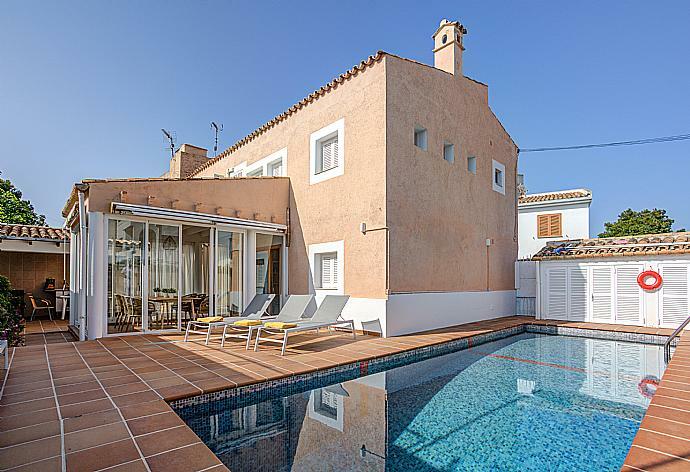 Villa Marsal is located in Porto Colom on the Spanish island of Mallorca. This vacation rental property is air-conditioned and sleeps up to 8 people with 4 bedrooms, 4 bathrooms along with private swimming pool. 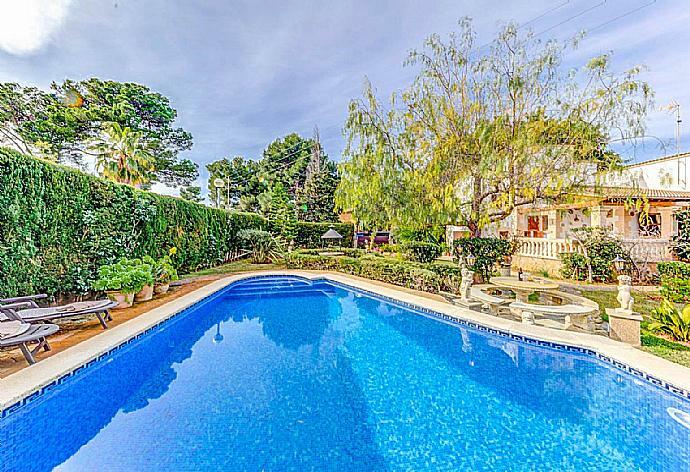 The property is walking distance to the beach and restaurants. 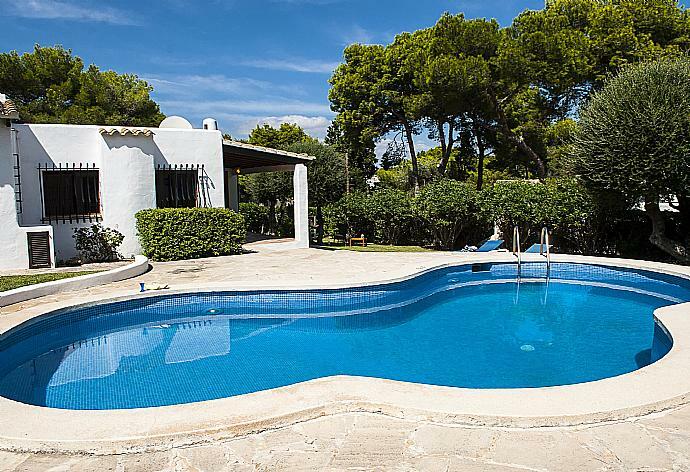 Villa Marta is located in Cala D Or on the Spanish island of Mallorca. This detached vacation rental property is air-conditioned and sleeps up to 10 people with 5 bedrooms, 4 bathrooms along with private swimming pool. The villa is walking distance to the beach and restaurants. 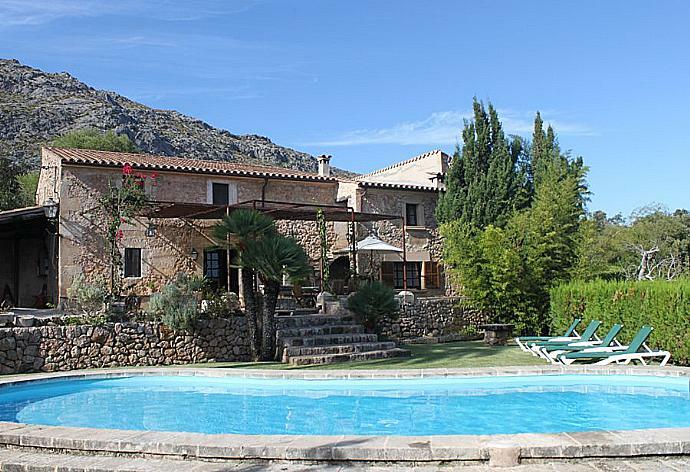 Villa Martin Morillo is located in Puerto Pollensa on the Spanish island of Mallorca. This detached vacation rental property is air-conditioned and sleeps up to 6 people with 3 bedrooms, 2 bathrooms along with private swimming pool. Villa Mumare is located in Cala D Or on the Spanish island of Mallorca. 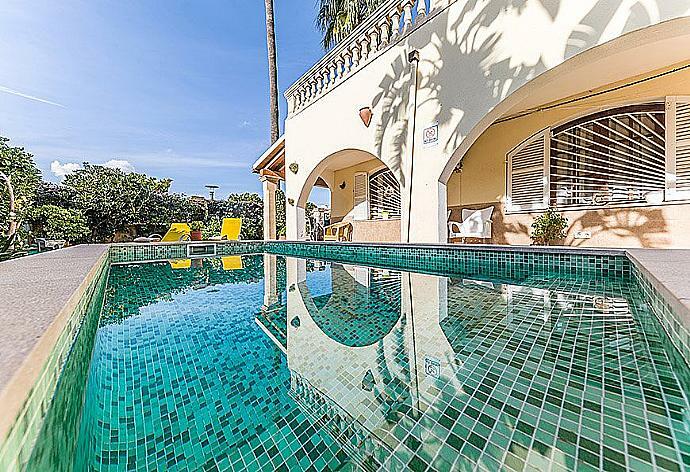 This detached vacation rental property is air-conditioned and sleeps up to 12 people with 6 bedrooms, 4 bathrooms along with private swimming pool. The villa is walking distance to the beach and restaurants. 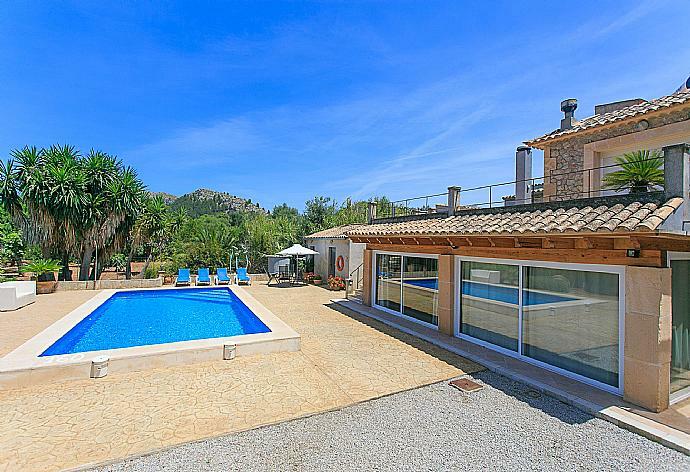 Villa Niu is located in Pollensa on the Spanish island of Mallorca. This detached vacation rental property is air-conditioned and sleeps up to 6 people with 3 bedrooms, 2 bathrooms along with private swimming pool. The villa is walking distance to restaurants. 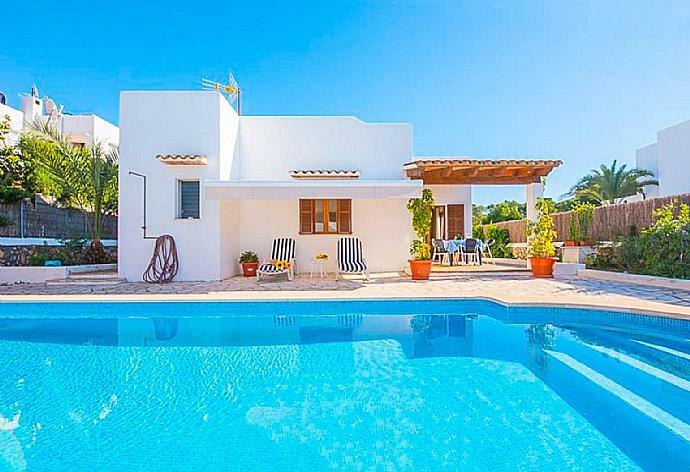 Villa Olivos is located in Cala D Or on the Spanish island of Mallorca. 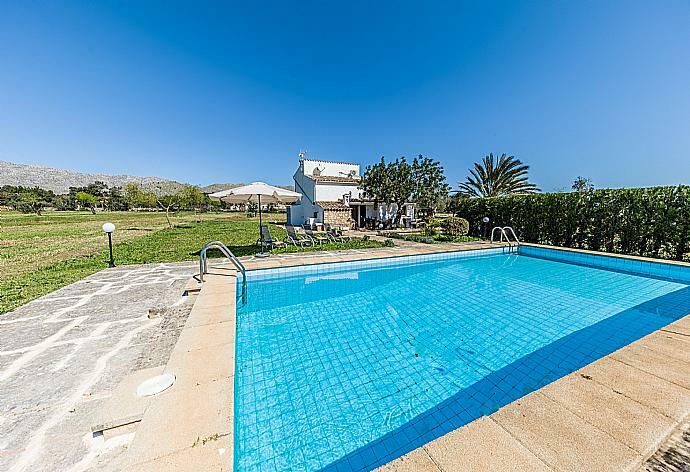 This detached vacation rental property is air-conditioned and sleeps up to 8 people (6 adults and 2 children) with 3 bedrooms, 3 bathrooms along with private swimming pool. The villa is walking distance to the beach and restaurants. 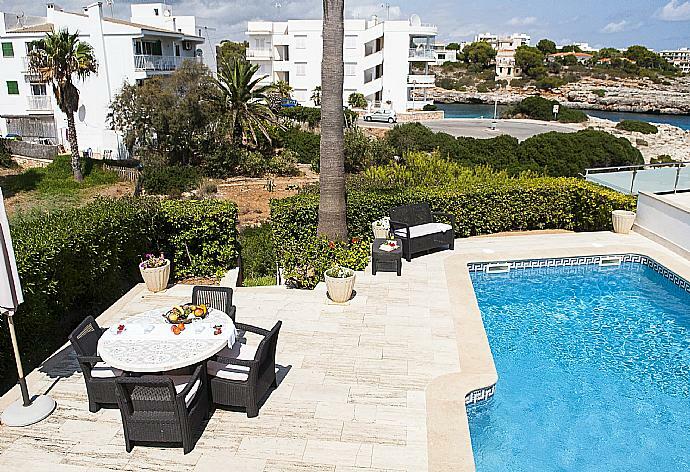 Villa Punta des Port B-14 is located in Cala D Or on the Spanish island of Mallorca. This detached vacation rental property is air-conditioned and sleeps up to 6 people with 3 bedrooms, 2 bathrooms along with private swimming pool. The villa is walking distance to the beach and restaurants. 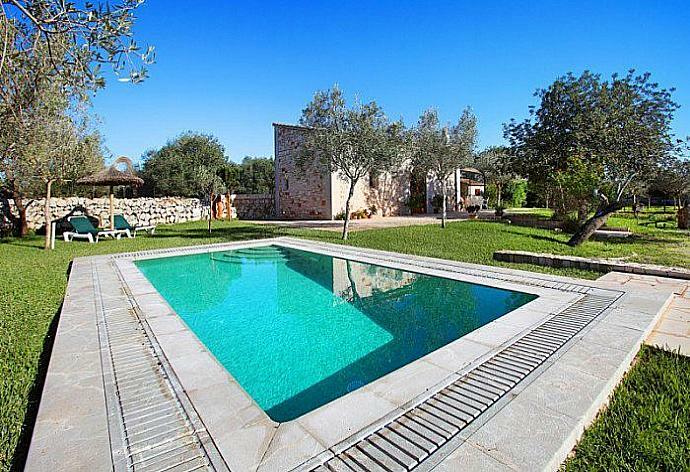 Villa Rafalet is located in Pollensa on the Spanish island of Mallorca. 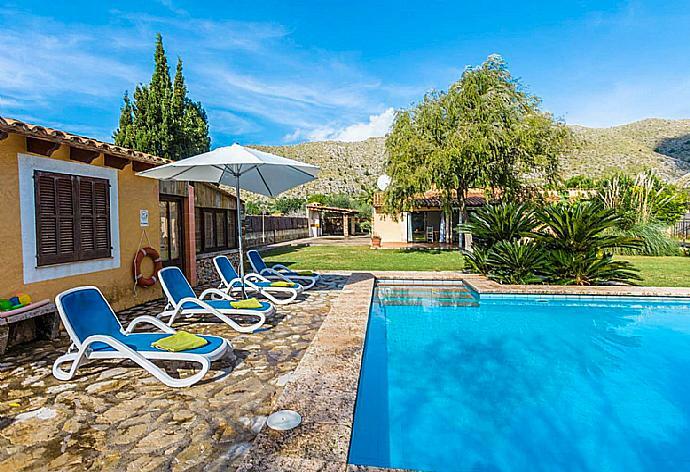 This detached vacation rental property is air-conditioned and sleeps up to 8 people (6 adults and 2 children) with 3 bedrooms, 3 bathrooms along with private swimming pool. Villa Roca Nova is located in Cala D Or on the Spanish island of Mallorca. 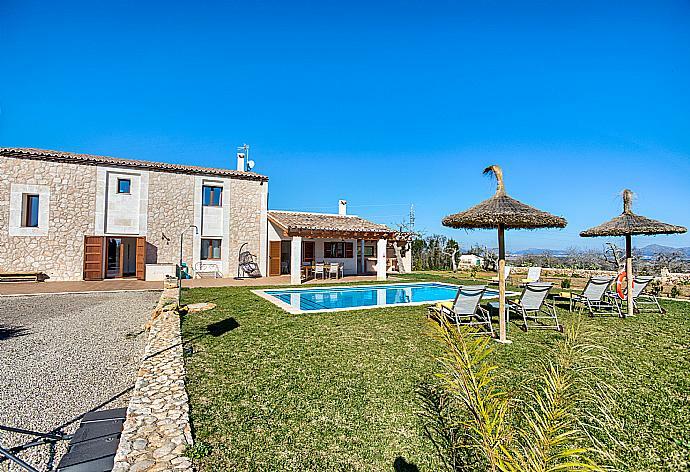 This detached vacation rental property sleeps up to 8 people with 4 bedrooms, 4 bathrooms along with private swimming pool. The villa is walking distance to the beach and restaurants. Villa Roig is located in Pollensa on the Spanish island of Mallorca. This detached vacation rental property is air-conditioned and sleeps up to 6 people with 3 bedrooms, 2 bathrooms along with private swimming pool. 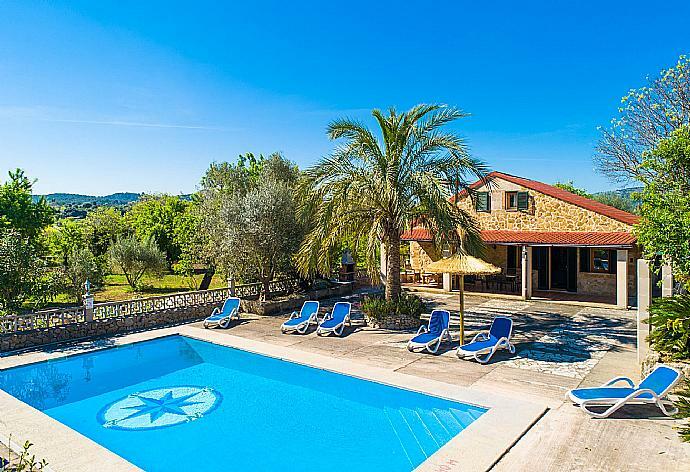 Villa Sant Jordi is located in Pollensa on the Spanish island of Mallorca. This vacation rental property is air-conditioned and sleeps up to 7 people (6 adults and 1 child) with 3 bedrooms, 3 bathrooms along with private swimming pool. The property is walking distance to restaurants. 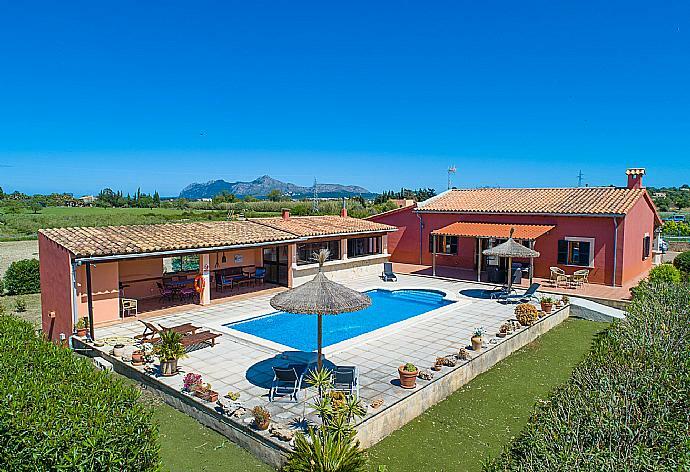 Villa Toni Corro is located in Alcudia on the Spanish island of Mallorca. This detached vacation rental property is air-conditioned and sleeps up to 6 people with 3 bedrooms, 3 bathrooms along with private swimming pool. 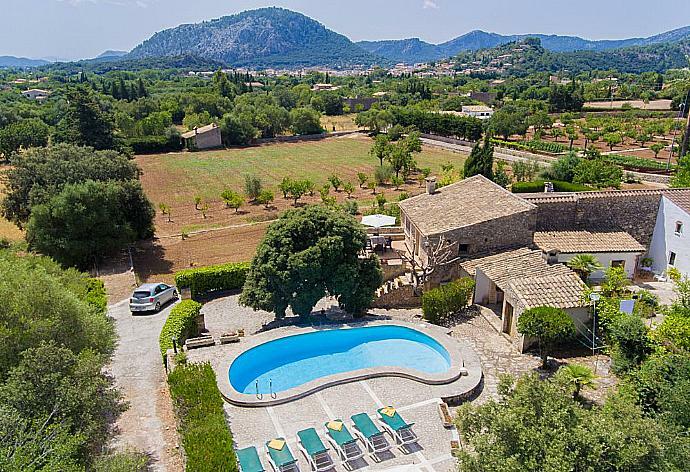 Villa Varitx Cerda is located in Pollensa on the Spanish island of Mallorca. 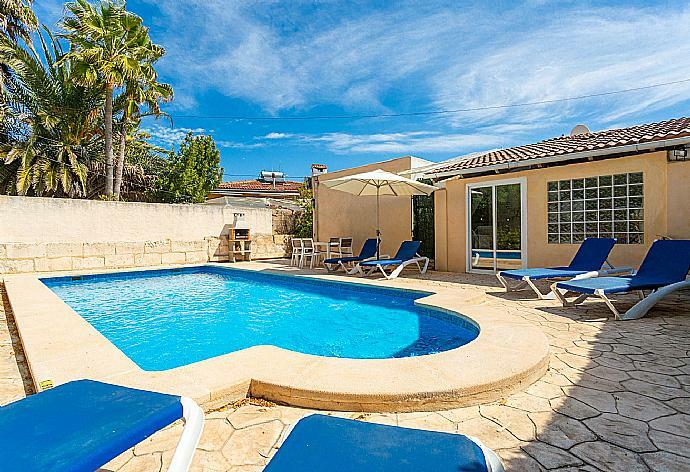 This detached vacation rental property is air-conditioned and sleeps up to 6 people with 3 bedrooms, 3 bathrooms along with private swimming pool. 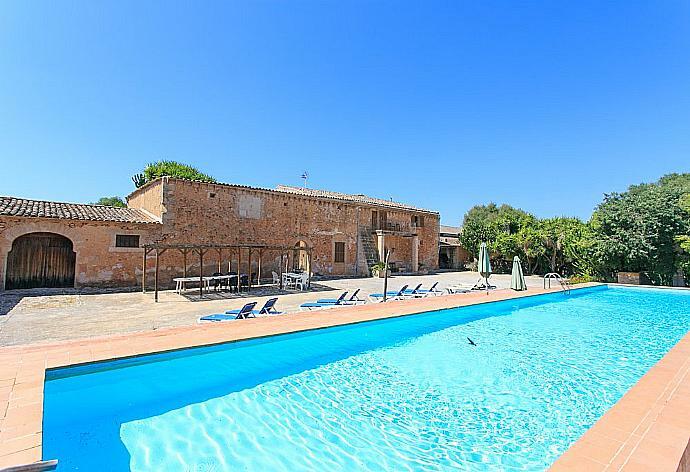 Villa Vinyes de Can Grau is located in Biniali on the Spanish island of Mallorca. This detached vacation rental property is air-conditioned and sleeps up to 6 people (5 adults and 1 child) with 3 bedrooms, 2 bathrooms along with private swimming pool. Villa Xisca is located in Pollensa on the Spanish island of Mallorca. This detached vacation rental property is air-conditioned and sleeps up to 4 people with 2 bedrooms, 2 bathrooms along with private swimming pool.